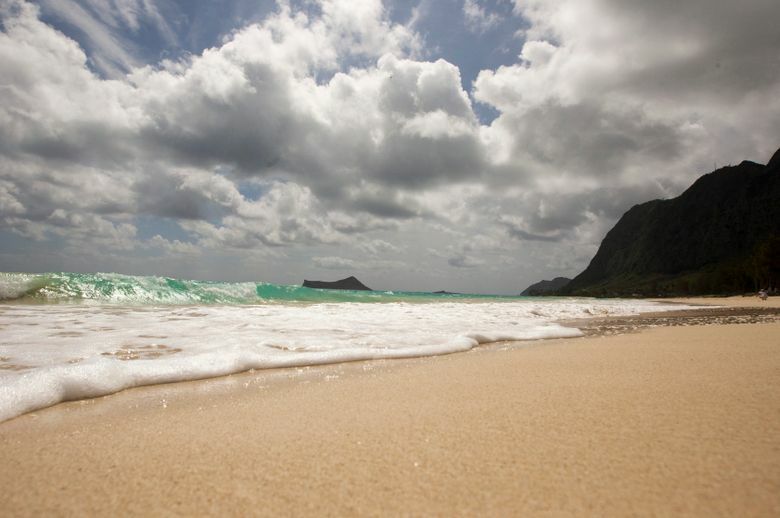 WAIMANALO, Hawaii — Many small-town residents would get a kick out of their communities being recognized like Waimanalo recently was when one of its beaches was ranked No. 1 in the U.S. But here, pride was mixed with apprehension about visitors. In the small community on Oahu’s windward coast, about 65 percent of people in Waimanalo are Native Hawaiian — the second-highest concentration on the island. There’s a scattering of businesses, some horse stables and farms, one supermarket and a main highway with one lane in each direction that’s become increasingly congested over the past decade. “It’s a beautiful place — we want to tell everyone about it. But how do we retain the small-town feel and culture of Waimanalo that’s so rooted in Native Hawaiian culture and practices,” said Randi Song, spokeswoman for the Waimanalo Health Center, in summing up the range of emotions felt by the beach distinction. For her, it’s more than a recreation spot — it’s a place to go fishing or scatter ashes of loved ones.